1. 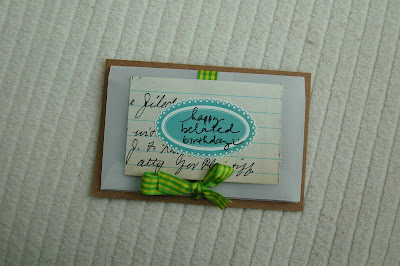 Find an A2 envelope (fits a 4.25" x 5.5" card). I used vellum but you can use white or whatever colour you have. 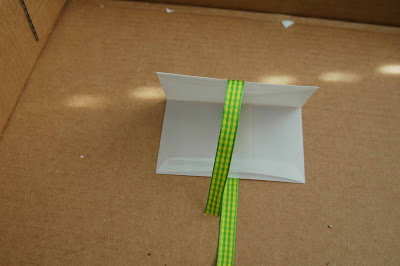 You can also use whatever size envelope you want but just adjust the sizes of the other pieces accordingly. 2. 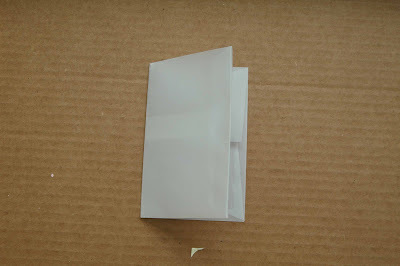 Fold envelope in half. Do not seal flap. 3. 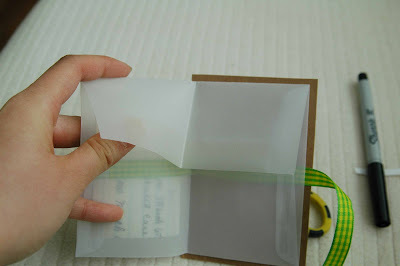 On the outsides of the envelope, add a strip of doubled sided tape like this. 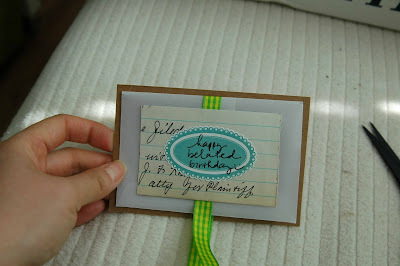 You'll be adhering a piece of ribbon where the tape is placed. 4. 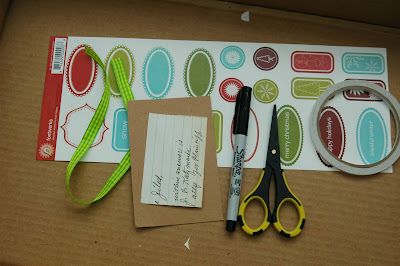 Gather some label stickers, piece of cardstock/chipboard that is slightly bigger than the envelope folded in half, patterned paper that is slightly smaller in size than envelope folded in half, permanent fine felt marker, double sided tape, scissors, long piece of ribbon (at least 12" long). 5. 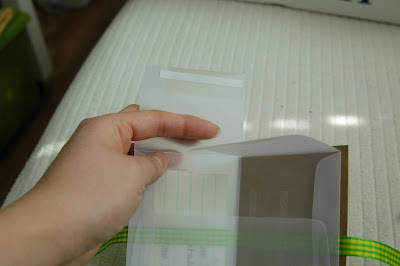 Remove sticker backing to double sided tape, adhere ribbon onto envelope where there is double sided tape. 6. 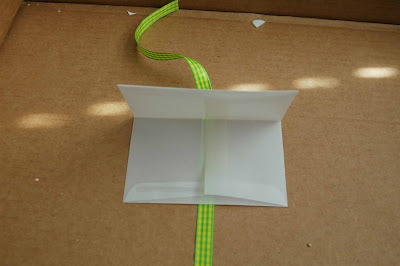 Do this to top flap also so ribbon is completely adhered onto envelope except too dangling tails. 7. 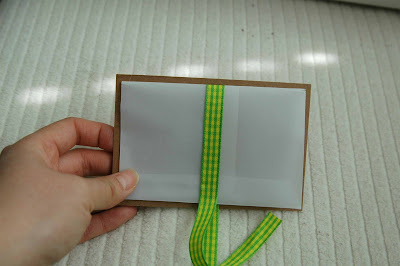 Cut strips of double sided tape and adhere it onto only one outer side of envelope. 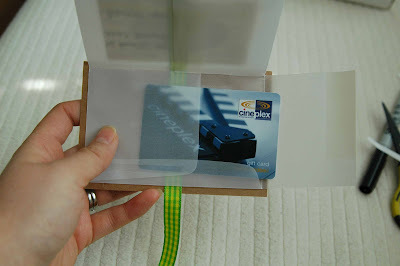 Remove sticker backing and attach to chipboard or cardstock. 8. 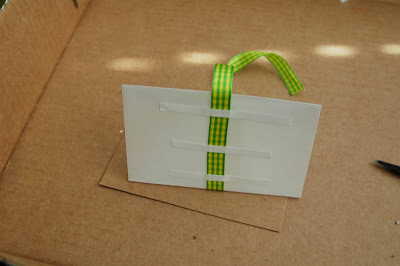 If your chipboard/cardstock is too big of a piece, trim it so that there is only a 1/4" border around the envelope piece. 9. Adhere patterned paper (vintage ledger paper) onto front flap of envelope piece. 10. Adhere label sticker (Fontwerks) on top of patterned paper. Handwrite a sentiment onto sticker. 11. 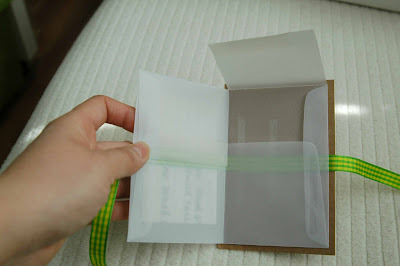 Open envelope piece to reveal inside. 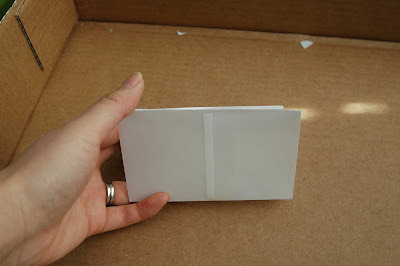 Lift up the flap to the envelope. 12. 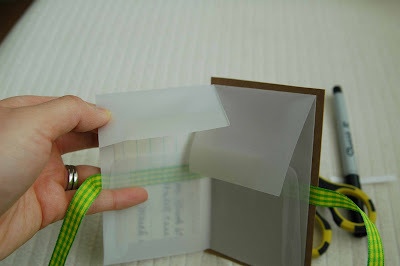 Cut the flap along the folded line. 13. 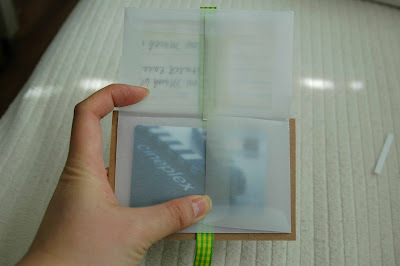 Add a piece of double side tape to the left flap and remove sticker backing. 14. Adhere the left flap down so that it is permanently taped in place. 15. 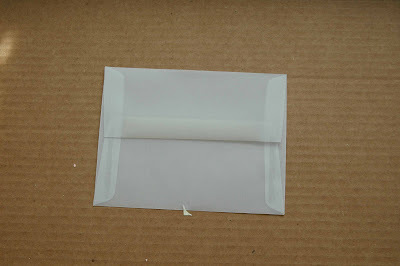 Insert GC or money into the bottom portion of the envelope. 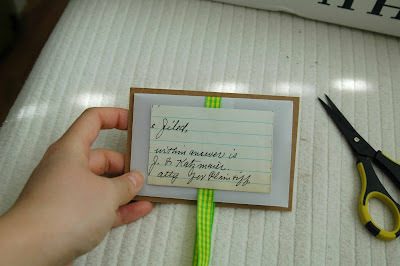 You can add a white piece of cardstock onto the top portion so that you can write a more detailed note if you'd like. 16. Close flap (do not glue/tape shut) after inserting GC. How fun is this!! Thanks so much for sharing! ooh what a great way to dress-up a gift card. much cuter than the normal envelope they give you free. thanks! That is so easy and sooo supercute.